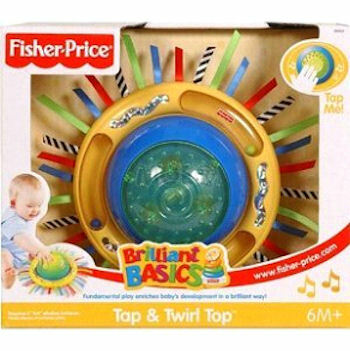 I am desperately trying to find a Fisher Price Brilliant Basics Tap and Twirl Top. My son has severe cerebral palsy and likes this toy at therapy. He can push this with his head and responds great to it. I am trying hard to find him one at home. I contacted Fisher Price, and they no longer make the toy, so I have to find it used. I too, am needing one of these as i am in the same boat as my 13mth baby boy has CP and he loves this. Thanks for your help Tami! I am looking for the exact same toy as well.